#stampinup #faithfulinkspirations Have you see the gorgeous Perennial Birthday Project kit on page 16 of the Occasions catalog? If not, I'll wait here while you click the link over on the right and take a look at it....It's awesome, right? 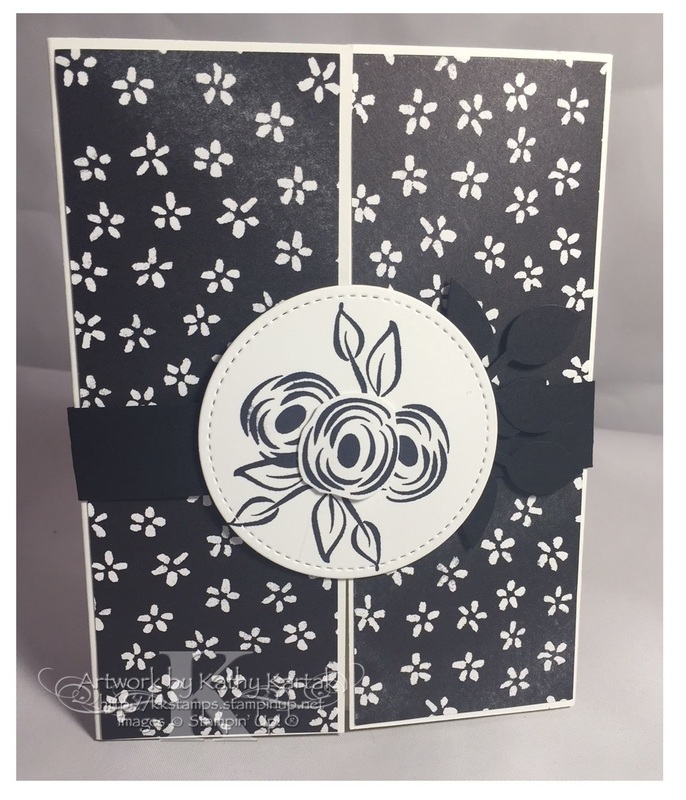 It comes with supplies to make 16 cards, plus the pretty box and dividers that you'll use to sort your cards so you'll never forget a birthday. Did you see the "Perennial Birthday" stamp set (sold separately) that goes with it? It's super-duper cute! After you've finished the kit, you can make other cards with the stamp set. 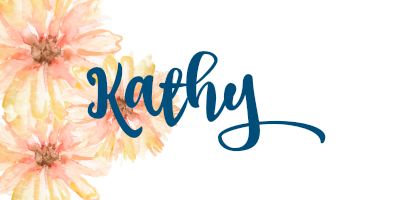 I'll be showing you some beautiful cards that we made at the Proverbial Stampers new catalog gathering. These cards use the "Perennial Birthday" stamp set and the stunning Petal Passion Designer Series Paper found on page 23. Go ahead and look. I'll wait. Although today's card is simply done in black and white, the Petal Passion DSP is perfect for coloring on--with Stampin' Write Markers, some ink and a Sponge Dauber or Sponge Brayer, or with our new Stampin' Blends alcohol markers. This card starts with your usual half sheet of Basic White Card Stock, but instead of scoring it at the 4-1/4" mark, it's scored at 2-1/8" from each end. It's folded in like a gate. We adhered two 5-1/4" by 2" strips of Petal Passion DSP to the flaps of each of the gates. On the inside of the card, we stamped a sentiment along with some flowers and leaves from the "Perennial Birthday" set in Basic Black Archival Ink. To make the belly band, we cut a 10" by 3/4" strip of Basic Black Card stock and wrapped it around the card for size before adhering the ends with Fast Fuse Adhesive. Then we stamped some flowers and leaves in Basic Black Archival Ink onto a Whisper White Card Stock circle cut with one of the Stitched Shapes Framelits. We punched two sets of leaves from Basic Black Card stock with the Leaf Punch and adhered them to the back of the circle. 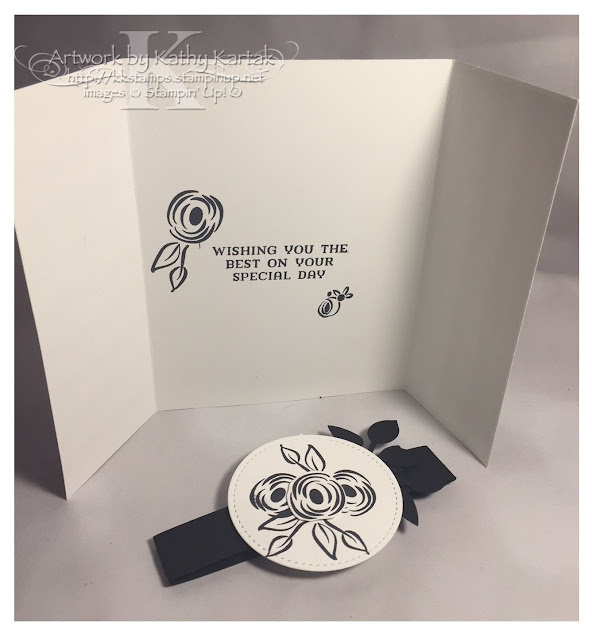 We stamped another flower onto a Whisper White scrap and fussy cut it before using a Stampin' Dimensional to adhere it to the top of the circle. This elegant card could be used for a birthday or a wedding!